The Carlsbad 5000 is one of my favorite local races. Beautiful course, fun atmosphere including free Pizza Port craft beer, and LOTS of local runners to connect with. This was my 4th time running it and I signed up for next year on the spot!!! 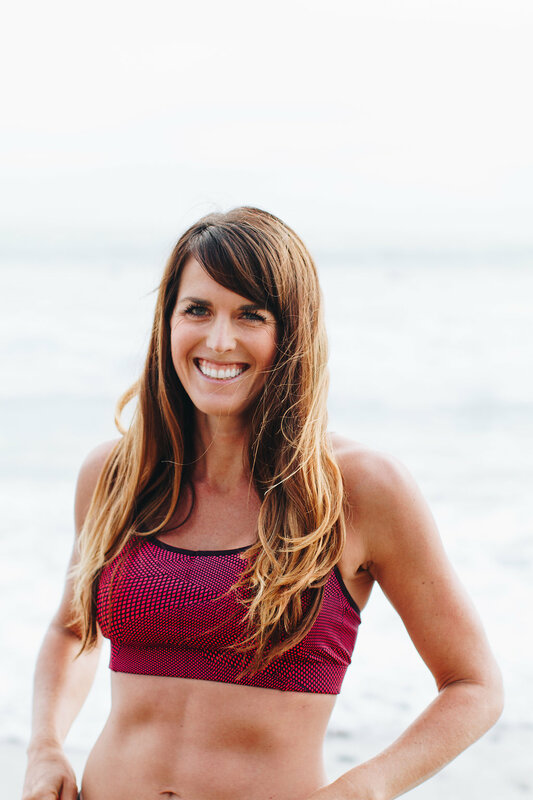 The Carlsbad 5000 was recently sold by its previous owners Competitor Group (who run the Rock n’ Roll Marathon) and is under new ownership, including fellow Oiselle Volee runner Ashley Gibson and the fabulous Meb Keflezighi. The new and improved race ran incredibly smoothly and I’m loving the updated logo, t-shirt and medal design. Packet pickup on race day literally took one minute and there were no lines for port-o-potties! Seriously amazing. The Carlsbad 5000 is unique in that there are 5 different races for runners depending on their age and gender, spread out over the course of the morning (for example, my wave was for women 39 and under). There is also an option to run the “All Day 20K” and run 4 races in a row, with a break in between. Around noon, the professional women’s race takes place, followed by the professional men! It’s a special treat to stick around and get to watch incredible runners challenge the world record (which has been broken here multiple times). As for my race, it went better than expected! After 10 days off of running due to my recent vacation (more on my cruise soon! ), I went all in with the new 21 Day Fix this week, along with 3 runs, and my legs were heavy and sore all week. My priority was these workouts, not my time at the race, but I did want to spare my legs a little to make the are more enjoyable, so I saved the upper body workout for Saturday to give my legs a break. I really wanted to improve my time from the Cardiff Kook race in February but wasn’t sure it would happen. The first mile was crowded which probably worked to my favor slowing me down a bit because I still went out a little too fast – 7:20, which was my fastest mile of the day. I felt pretty good around the 1 mile mark and found myself passing many more people than passed me. I didn’t pay too much attention to my watch and just ran by feel. Around the 2 mile marker (7:35/mile), I started feeling it and couldn’t help but slow down a bit. I told myself I’d pick it up for the final 1/2 mile stretch, and tried but my legs were definitely heavy! A couple of women caught up to me and started passing me at this point and I said ” Go girl” to one speedy one in particular. One of the other women said, “We’ve got this ladies” and that made me smile! I love when we lift each other up during a race! Despite the support, my third mile was the slowest, 7:39 pace. I was able to kick it at the end at a 6:40 pace thanks to the nice decline at the end, but I just couldn’t really give it a sprint to the finish like I usually do. When I finished, I was pretty happy when my Garmin said I had ran a 5K and a mile PR (I reset my Garmin PRs after having the twins, this wasn’t a lifetime mile or 5K PR) despite all of this!!! Official time was 23:35, a 10 second improvement from the Kook race in February. Carlsbad 5000 Oiselle Volee Finishers! After my fellow Oiselle ladies finished we headed over to the beer tent for our two free Pizza Port beers. There was even a special IPA just for us! We quickly ate burritos after our beer and then headed back out to the course to cheer for the professional male and female race. The male winner tied the world record! As always, I had a blast at the Carlsbad 5000! And now I officially have the race itch back….thinking about putting in a solid training cycle for a fall half marathon. Just need to figure out which one! Any suggestions! ?